Dr. Todd Mabry uses state-of-the-art web technology to give patients access to a wealth of information from any internet-capable device before they even step foot in the office. 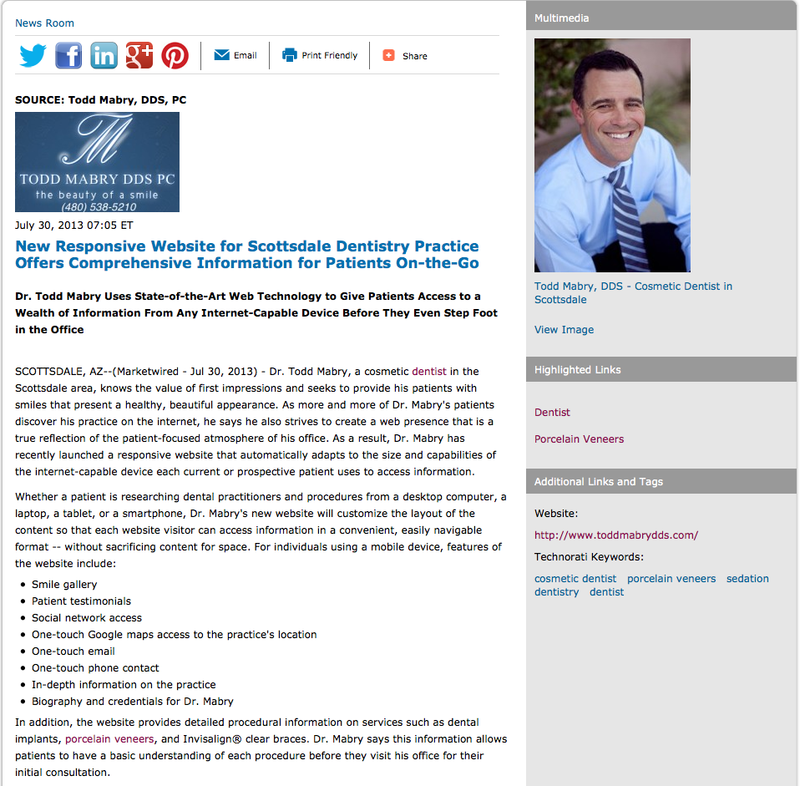 Scottsdale, AZ – Dr. Todd Mabry, a cosmetic dentist in the Scottsdale area, knows the value of first impressions and seeks to provide his patients with smiles that present a healthy, beautiful appearance. As more and more of Dr. Mabry’s patients discover his practice on the internet, he says he also strives to create a web presence that is a true reflection of the patient-focused atmosphere of his office. As a result, Dr. Mabry has recently launched a responsive website that automatically adapts to the size and capabilities of the internet-capable device each current or prospective patient uses to access information. In addition, the website provides detailed procedural information on services such as dental implants, porcelain veneers, and Invisalign® clear braces. Dr. Mabry says this information allows patients to have a basic understanding of each procedure before they visit his office for their initial consultation. The Scottsdale cosmetic dentist says, when patients conduct their own research prior to an office visit, they are often more educated on the capabilities and purposes of each procedure. This can help them communicate their needs and goals to Dr. Mabry and his dental team, and give patients a more thorough understanding of how he may be able to help. Dr. Mabry notes that he prides himself on being the leader of a practice that focuses on the patient, not just the treatment. By adapting to the new ways his patients are accessing information about the practice, he hopes to show his website visitors that he values their time and their convenience by building an online information hub that suits their busy lives and the new ways in which they are researching information. 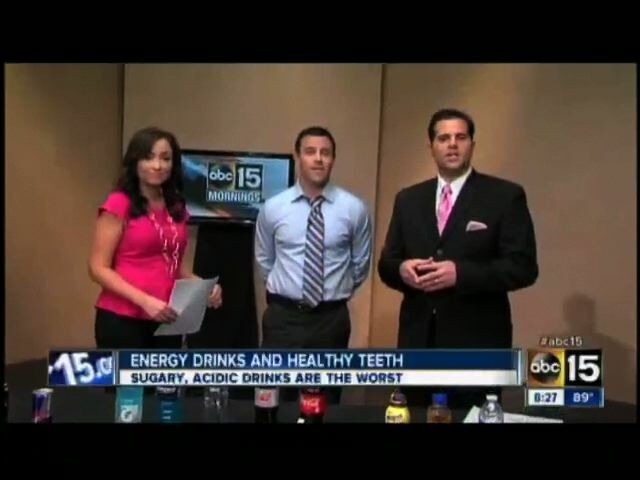 Dr. Todd Mabry is an active member of the American Academy of Cosmetic Dentistry, as well as the Arizona Dental Association and the American Dental Association. 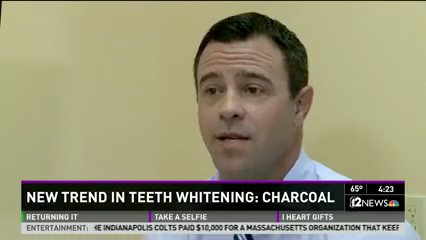 He is a graduate of the University of Arizona, and earned his doctor of dental surgery (DDS) degree from Marquette University School of Dentistry. Dr. Mabry completed his residency – specializing in cosmetic and reconstructive dentistry – in Southern California. In addition to his involvement in the Arizona Dental Association’s Give Kids a Smile® program for underserved children, he volunteers his dental services at the John C. Lincoln Children’s Dental Clinic. Dr. Mabry offers a range of general, cosmetic, and sedation dentistry options at his practice in Scottsdale. Dr. Mabry is available for interview upon request. 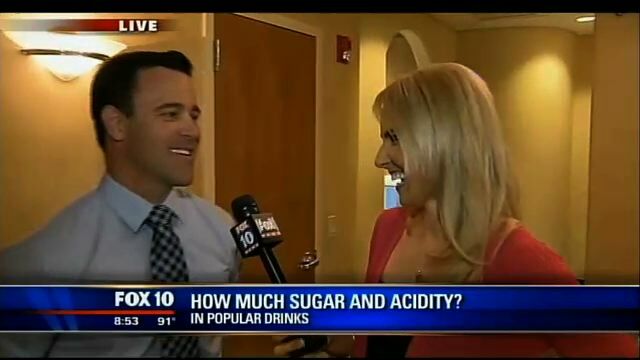 For more information about Dr. Mabry and his Scottsdale dentistry practice, visit toddmabrydds.com and facebook.com/ToddMabryDDS.